How Do Babies Get Ear Infections And How Do You Treat Them? →How Do Babies Get Ear Infections? How do babies get ear infections, and what can you do about it? 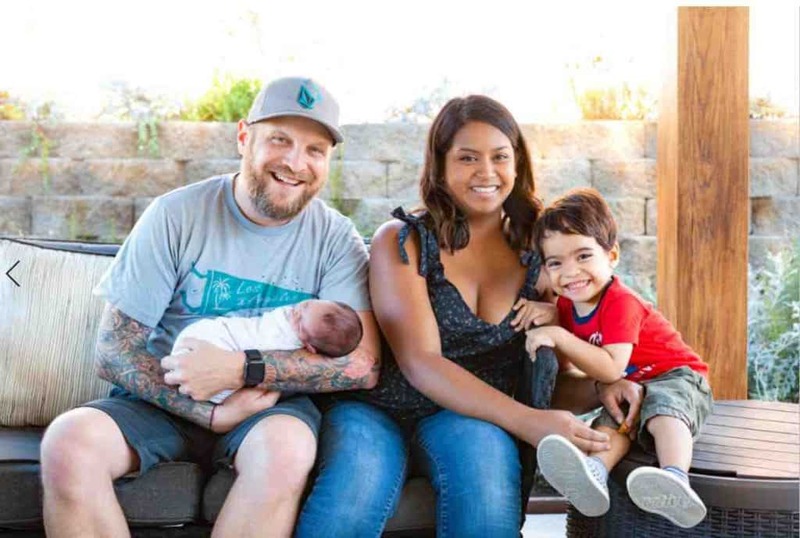 Any parent, whether an old veteran or someone on their first attempt will tell you that figuring out what is wrong with a baby is probably the biggest challenge that they face. While a baby cannot come right out and tell you what is wrong, they will give you clues that over time you can learn to interpret. It’s important that you learn to understand these signs so that you can make sure that your baby is happy and healthy. While it can be frustrating when a baby cries, you have to remember that most of the time their crying is simply their way of letting you know that something is wrong. If that something happens to be an ear infection, then it’s important that you get them to their pediatrician for prompt treatment. What Are Some Of The Signs That Your Baby May Have An Ear Infection? Ear infections can be quite serious, especially if they are not treated right away. So it’s important that you learn to recognize the signs of an ear infection in your baby so that you can get them the help that they need. If your baby suddenly becomes fussier than normal, this is a sign of general distress. It doesn’t specifically point to an ear infection, but it’s a clear sign that there is something wrong. Next, if your baby has a fever then this is always cause for alarm. A fever indicates that there is some type of infection that is going on in your baby’s body. Once again, this doesn’t necesarrily mean it’s an ear infection, but it does mean that there is something wrong that you should probably talk to your baby’s pediatrician about. Important Tip: One of the most tellings signs that your baby may have an ear infection is if they begin to pull or scratch at an ear. Often times that ear will end up red due to the irritation that the constant pulling and scratching causes, which will tell you that there is something wrong with that ear that may very well be an ear infection. If your baby has recently had a cold or the flu, then their pulling on their ear is an even bigger indicator that they may have an ear infection. If your baby isn’t eating normally or has diarrhea, then these are both indicators of a likely infection. If you notice a discharge from your baby’s ear or a foul smell, then these are clear indicators of an ear infection. The best way to know for certain if your baby has an ear infection or not is to take them to see their pediatrition. What you should remember is that you really can’t be too careful when it comes to the health of your baby. If he or she isn’t acting normally, then there may be something wrong. That’s when it’s time to take them to the doctor. You can be certain that any good pediatrician won’t criticize you for bringing your baby in to see them too frequently, which is certainly better than waiting until there is a more serious problem. Any type of infection that a baby or anyone else ends up with is due to an overgrowth of bacteria. They are on our skin, and there are even helpful bacteria in our digestive systems. Most of the time our immune systems keep these bacteria in check, but sometimes something happens that allows the bacteria to begin to grow out of control. When that happens an infection normally follows. So what exactly can contribute to an overgrowth of bacteria leading to an ear infection? In many cases, this happens as a result of something like a virus or something along those lines that have already taxed your baby’s immune system. Another way that a cold, flu or even allergies can cause an ear infection is through fluid constriction caused by inflammation. When your baby has a cold, flu, or allergies, the passageways that normally allow fluid to flow out of their ear become blocked. This blockage then frequently leads to infections. While it’s likely that most ear infections will clear up on their own, they can be quite serious so you really don’t want to take any chances. 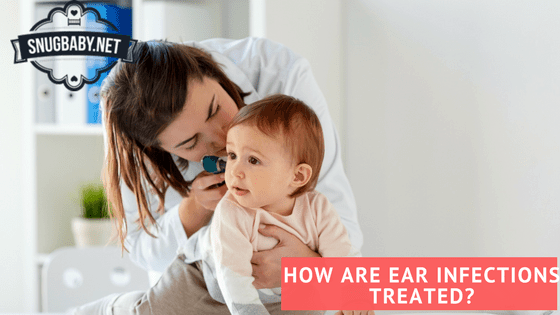 Ear infections can cause serious and permanent hearing damage if they are allowed to progress too far, and anytime you have an infection in close proximity to your baby’s brain then that is cause for concern. This means taking your little guy or girl in to see their pediatrician really is your best option. During your baby’s doctor visit their pediatrician will look into their ear to confirm the diagnosis of an ear infection. While inspecting their ear they should be able to tell the severity of the infection. Because antibiotics are prescribed far more frequently than necessary, there is the growing problem of antibiotic-resistant bacteria. Because of this doctors are much more cautious when prescribing them, and if your baby’s ear infection looks like it will clear up on its own, then you probably won’t be given antibiotics. If your pediatrician does decide to give your baby antibiotics, then make sure that you follow the dosing recommendations precisely. You also need to pay extra attention to your baby for any signs of a possible allergic reaction. Anything like a new rash, or your baby appears to have trouble breathing are signs of an allergic reaction, and they should be taken to a doctor right away. While allergic reactions are uncommon, they are still a concern, and as a parent, you need to be aware of the threat that they pose. Regardless of whether or not your baby is given antibiotics, you need to make sure you are paying close attention to them for the next few days. Take their temperature frequently, and watch for changes in their mood. Important: If they continue to tug at their ear several days after their appointment or have a fever still, then it’s time to take them back in to see their pediatrician. Being a parent is one of the most rewarding things that you can do, unfortunately, all of that joy also comes with the responsibility of ensuring that your baby is healthy as well as happy. So make sure you pay attention to your little guy or girl, and if you suspect they have anything wrong as serious as an ear infection, then get them in to see their pediatrician right away.